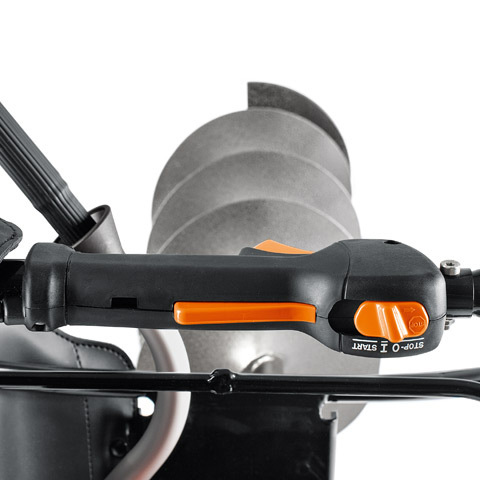 The 1.4 kW STIHL 4-MIX® engine combines the advantages of a two-stroke and a four-stroke engine - it is economical, smooth, responsive and powerful. It produces less emissions and doesn't need an oil service. 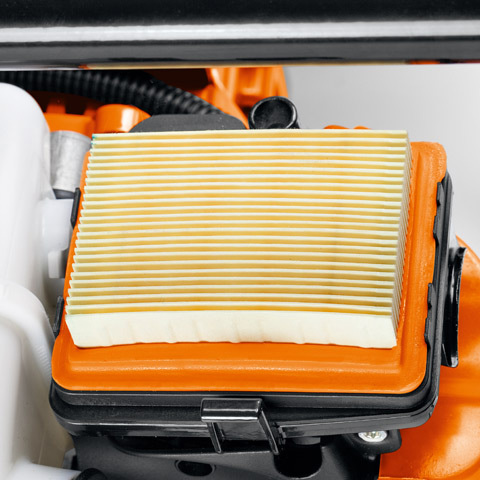 Together with the compensator that is integrated into the carburettor, the long-life air filter system offers long cleaning intervals and reliable engine protection. 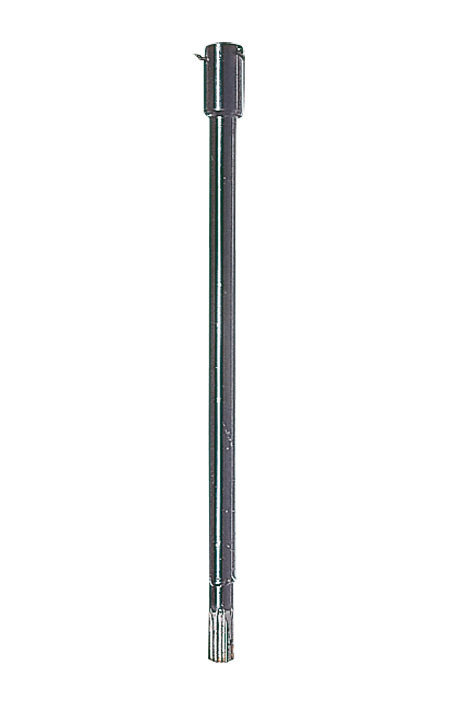 The Quickstop drill brake release lever stops the drill immediately when it gets stuck in the ground, It also serves as a reverse rotation lock - a stuck bit can then be easily unscrewed manually. 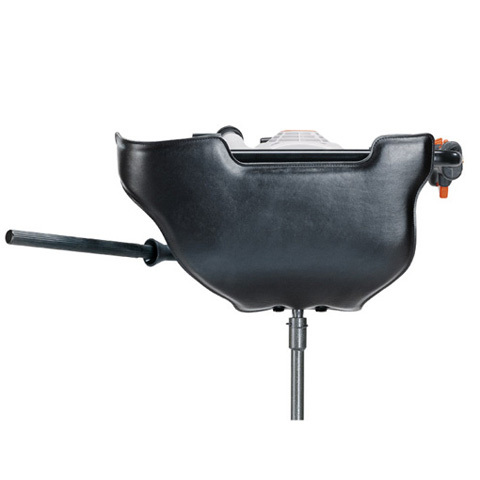 During use the hip pad is positioned comfortably close to the body or leg of the operator, making the auger safe and easy to use. The vibration-dampening frame with four vibration elements provides comfortable working and reduces fatigue when drilling. 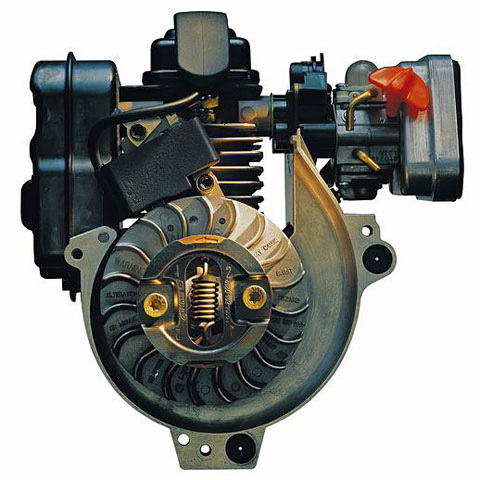 The engine is positioned separately from the handle frame, allowing easier working over longer periods. 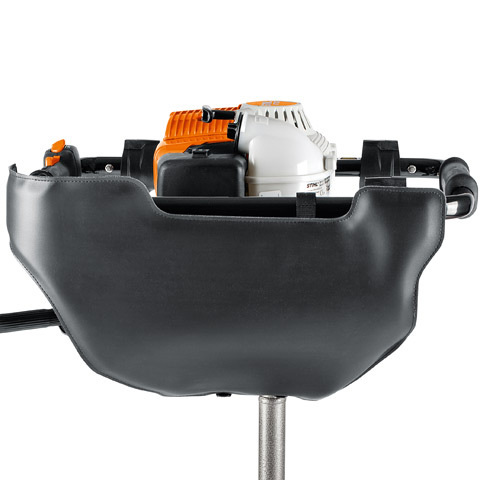 All operating elements for the engine control are integrated into the right-hand handle, enabling the drill to be operated by finger pressure. The hand always remains in a working position. Replacement padding for BT 130 earth auger. For all types of ground. 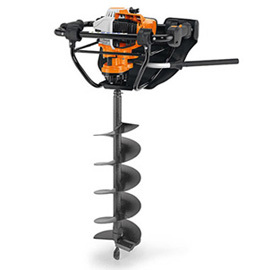 Special drill bit for loosening soil and planting. For the earth auger and hand-held drill. For BT 121, for twist drill up to 13 mm in diameter.